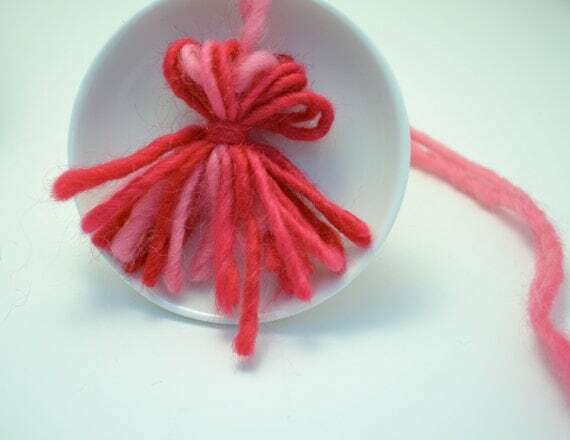 I was getting lots of requests from my pink ombre tassel, so I’ve updated the listing (don’t worry, the pink one is still available) to make a custom ombre tassel listing, and now you can request any ombre set of colors. Green, pink, blue, red, and lots more. You can also specify size, top, and beaded or unbeaded. 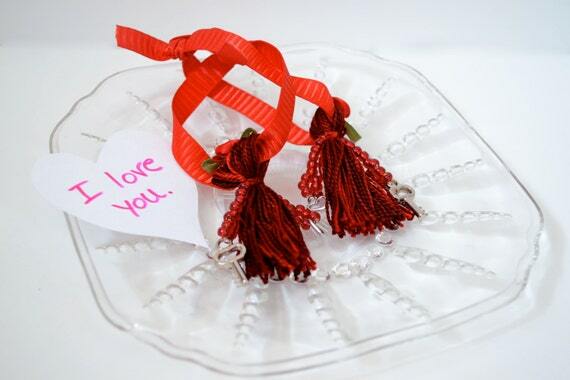 This little red, beaded tassel is a perfect gift for Valentine’s Day, either alone or as decoration on a gift package. It ships wrapped in purple felt, ready for gift-giving. 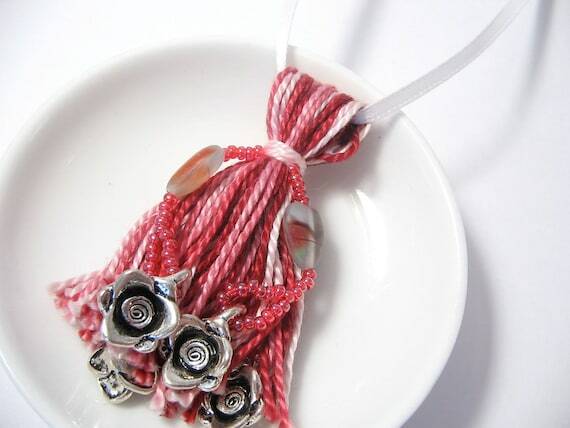 The tassel is 2 inches long, with a red satin ribbon at the top. 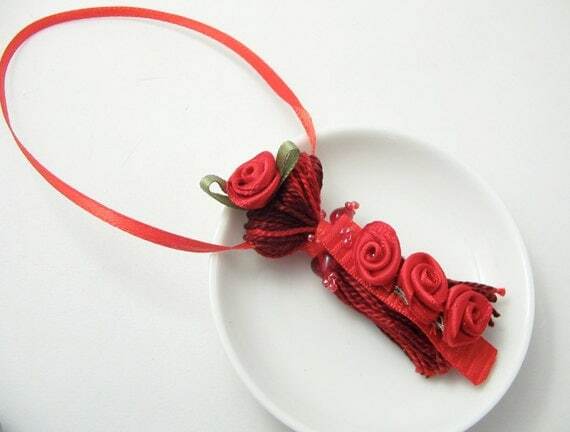 3 red roses are stitched onto a satin ribbon, with another rose on the tassel top. Heart beads adorn the sides. 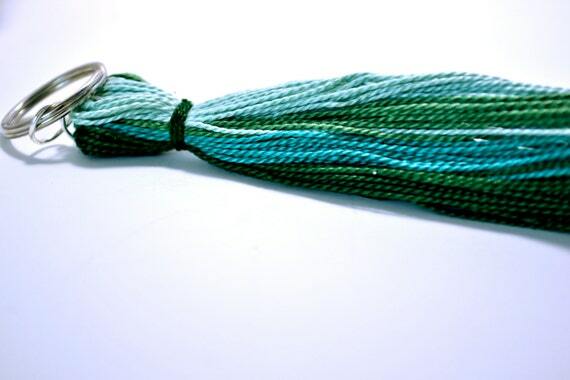 Now in Lizbeth’s Garden shop: Yarn Tassels! These are finished tassels, but they have a long piece of yarn coming from the top to attach to a hat or scarf! Perfect for your favorite knitted or crocheted project, or attach to a store-bought item for that handmade look! This sweet beaded tassel makes a different sort of tree ornament, or perhaps a gift embellishment. Perfect for Christmas, or even Valentine’s Day (that seems so far off, doesn’t it). These beautiful golden earrings make a perfect holiday gift for someone lovely. 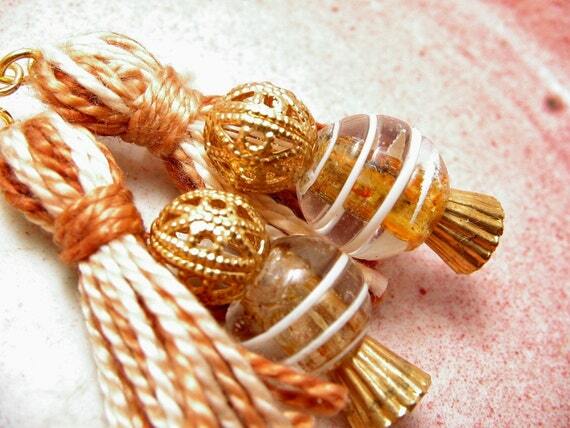 Each earring is an inch-long pale brown striped tassel, beaded with glass and metal caramel and golden beads. Ear wires are gold-plated. Just what you need to say “I love you” and bring a little spring into an early winter day. All my flowers are grown by me in my Idaho garden. I use no pesticides or herbicides, and minimal fertilizers. 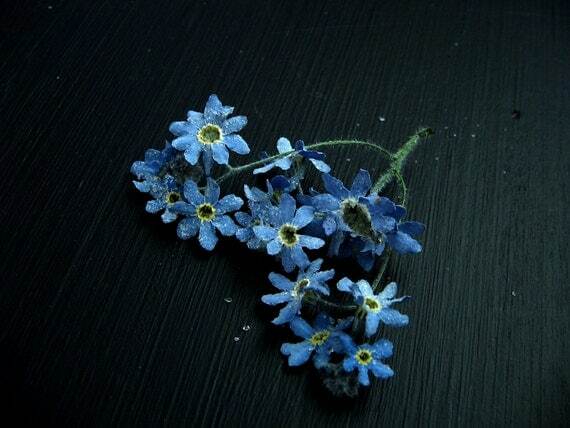 These forget-me-nots were dried in silica crystals and retain their original shape and color. Click on the image to see the Etsy listing. It’s that time of year again, when the birds are chirping, the flowers are blooming, and the students are … graduating! 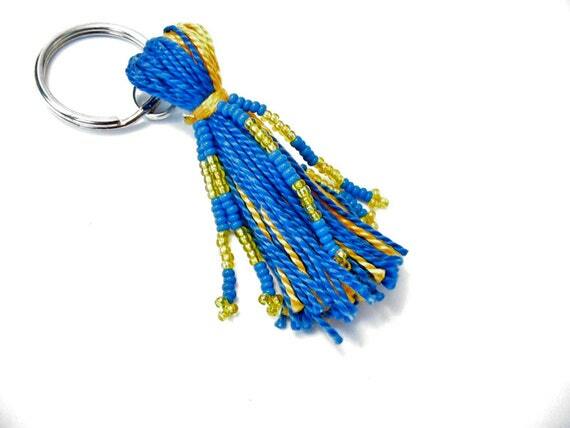 Schools sell tassels of course, and those are a lovely keepsake (take it off the cap before you toss it! ), but maybe you would like something a bit more convenient — perhaps to carry with you, perhaps for a scrapbooking or collage project. Well, Lizbeth’s Garden has just the thing! 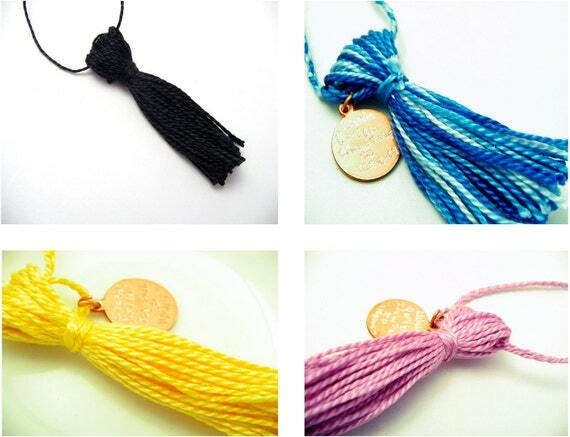 We carry custom graduation tassels, both plain (like real school tassels) and with beads, for a bit more bling. You can order them with thread hangers, for craft projects (see top photo below), or with keychains, to carry with you (see bottom photo below). We love to make custom orders, so contact us today and we’ll get started! Spring is almost officially here (the Spring Equinox is this Friday, March 21) but we have already had several gorgeous spring-like days here. 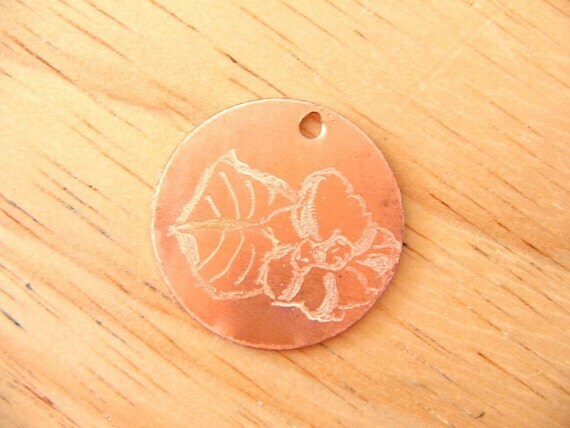 In honor of spring, today I am sharing my engraved copper primrose. Perfect for a bracelet, necklace, or keychain. I sell it on its own, but if you would like it attached to a chain, or a tassel, just let me know and I’ll make you a custom order. I also take requests for custom engraving. 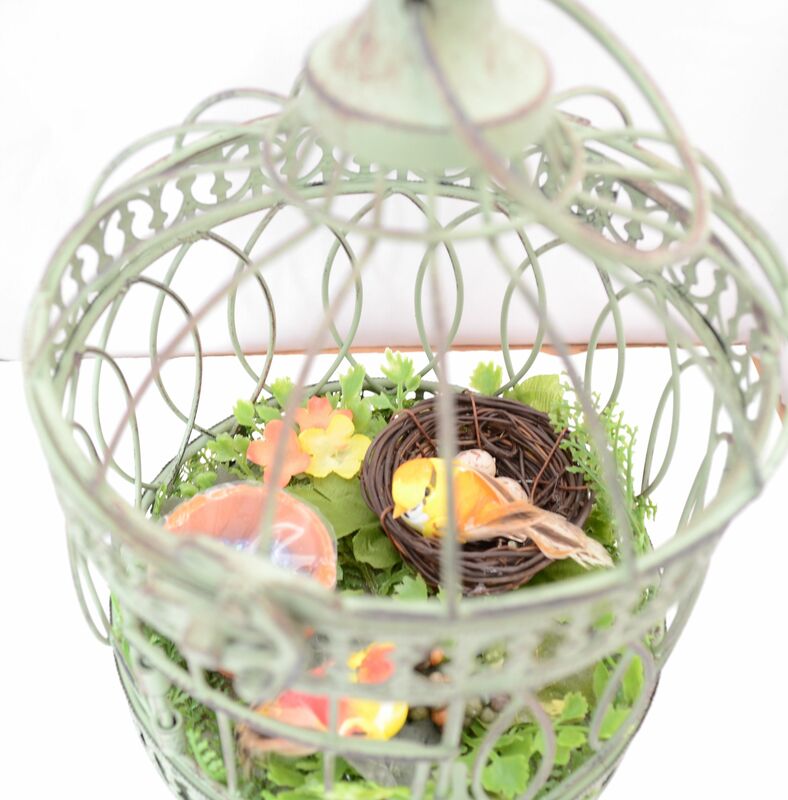 I just created this pretty, decorative birdcage for my brother for his birthday from supplies from Michaels and a little hot glue.